A crafty offensive forward, Oksanen played particularly well in the third period as his line made good plays in the offensive zone. Oksanen had a couple of high danger scoring chances in the game but couldn’t finish, something that was a problem for the entire team in the loss. 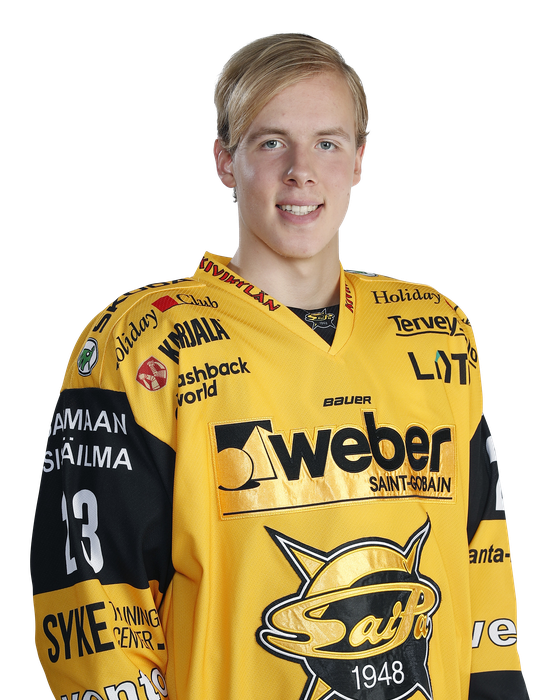 Oksanen has an excellent, high velocity wrist shot which he utilizes often and effectively. He delivers smart passes and is a good pass receiver himself, too. He’s not an outstanding skater in terms of mobility and acceleration, however, he makes up for it with smarts and anticipation. His defensive play and physicality are definitely not at the same level as his offensive abilities. Despite all of this, I do think Oksanen remains a solid mid- to late-round prospect for the upcoming NHL Draft. With development under the right circumstances, he could become a more complete player. Oksanen showed flashes of offensive abilities. He is dangerous with the puck with his creativity, excellent stickhandling skills and good puck protection. His best asset is his quick shot which he likes to use and forward had seven shots in this game. Oksanen has relatively good size but he doesn’t utilize it properly. He could be more effective if he would play more straightforward game because at the moment he mostly stays on perimeter. Oksanen still occasionally seems to struggle off the puck and the biggest reason for these problems are his positioning and decision making but this aspect of his game has improved nevertheless. He still needs to improve his skating but his top speed as well as acceleration and agility has improved during the last year. Forward also seems to be more involved in physical game which is a side of his game which was pretty much non-existent before. Oksanen scored the game’s first goal in the first period, finding the open ice and taking a wrist shot from a sharp angle. He also had a few other good moments offensively. The forward has a lot of talent offensively – quick hands, creativity and good stickhandling skills. His wrist shot is quick and accurate. He’s also able to protect the puck quite well. His skating had improved from the start of the season; however, he can still improve his acceleration and become more explosive on his skates. Defensive zone coverage and physicality are also areas where he can work on.